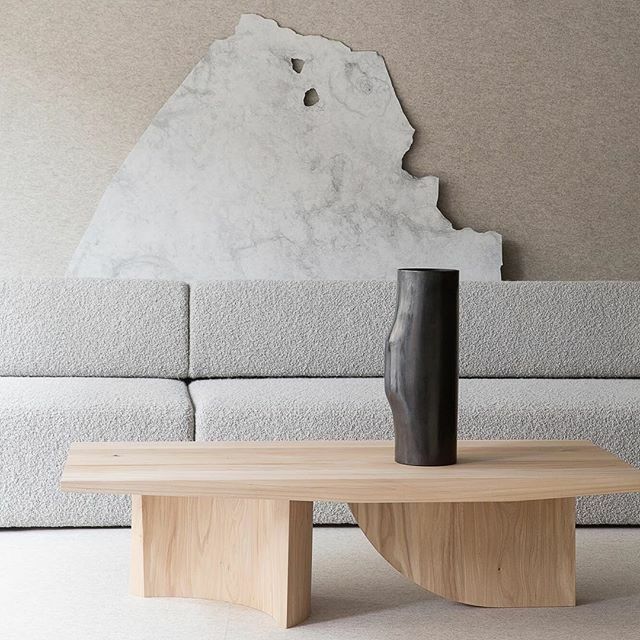 Looking back through all my Instagram saves from Milan Design Week, Echos by Spotti Milano is one of several that I keep lingering on. 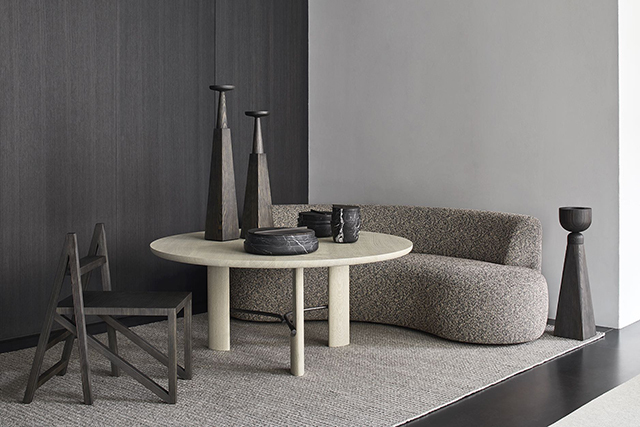 Featuring the new Christophe Delcourt collection for Collection Particuliere, the French designer is known for combining elegant lines and raw materials. Favouriting leather, stone and wood, his dedication to exceptional craftsmanship and attention to detail can be seen in all of his pieces. 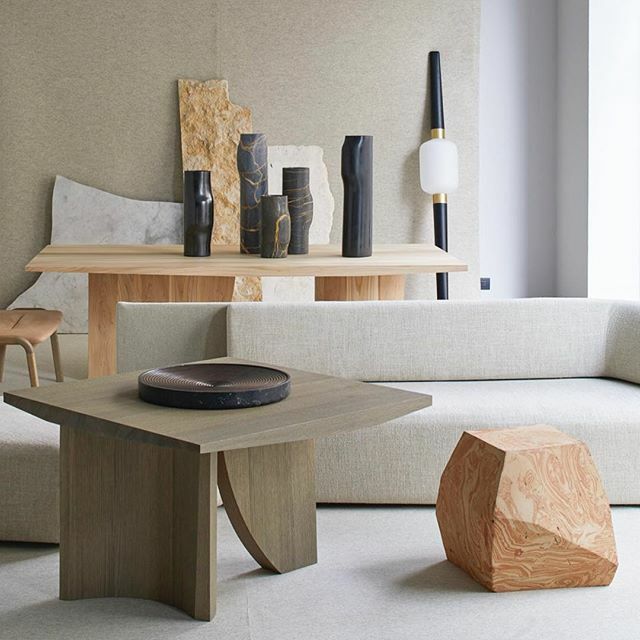 I've been admiring his beautiful curved sofas for some time and I am obsessed with the new wooden tables shown below, which feature exquisite sculptural legs. 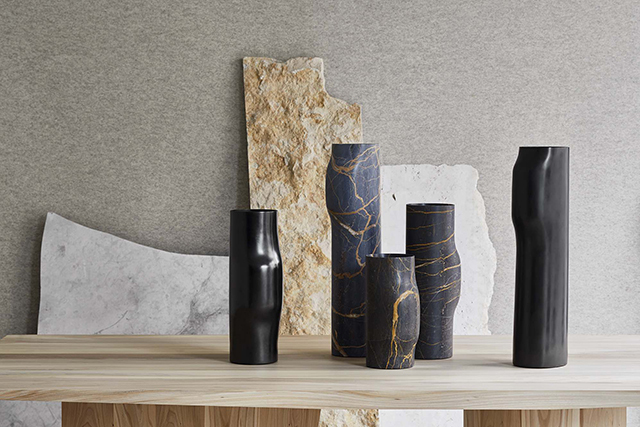 Since their launch in 2016, the sculptural BOS vases by Christophe Delcourt have become iconic statement pieces. 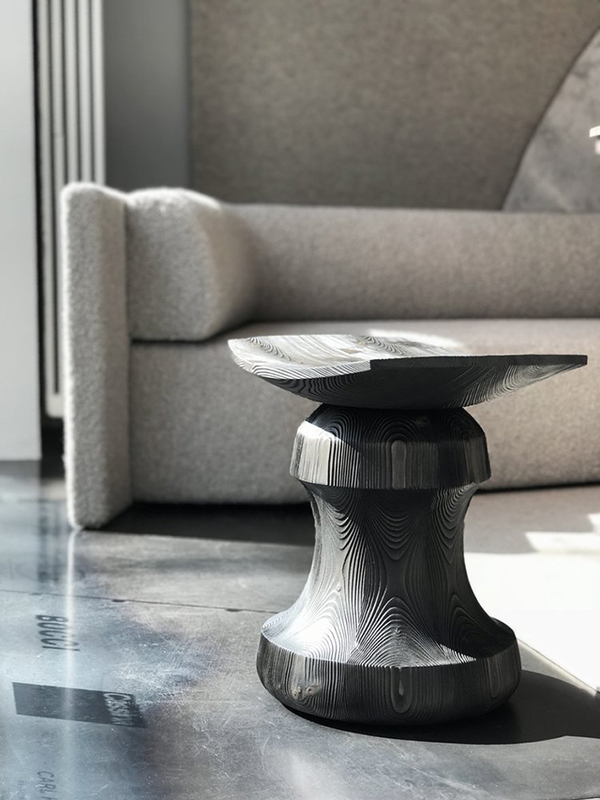 First made in marble, they have now been released in a bronze finish, with a black patina. 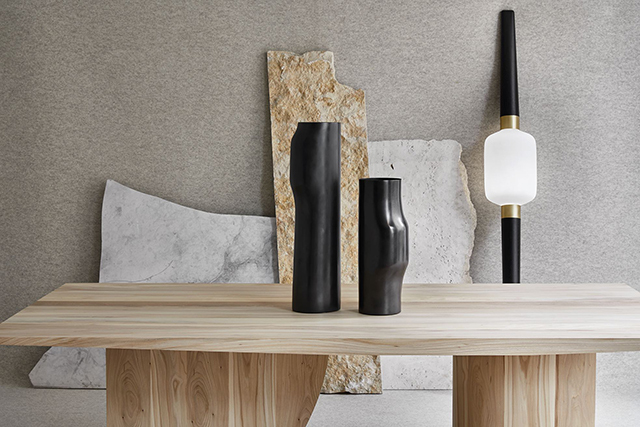 The B/Light floor lamp (above) and black Marquina marble STCKD vessels (below) are by Paris-based designer Dan Yeffet. Made from solid oak, blown glass and brushed brass, the floor lamp is designed to lean against the wall to illuminate the desired area. The incredible church candle holders are by Belgian designer and art dealer, Arno Declercq. 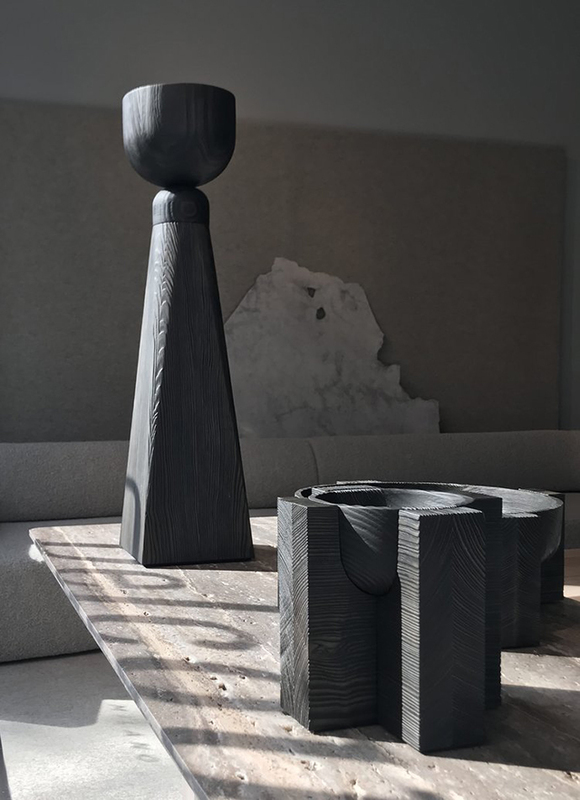 I love how stylist and photographer Daniella Witte has captured the incredible wood grain of these pieces when she visited the exhibition in Milan. See more of her beautiful imagery here. 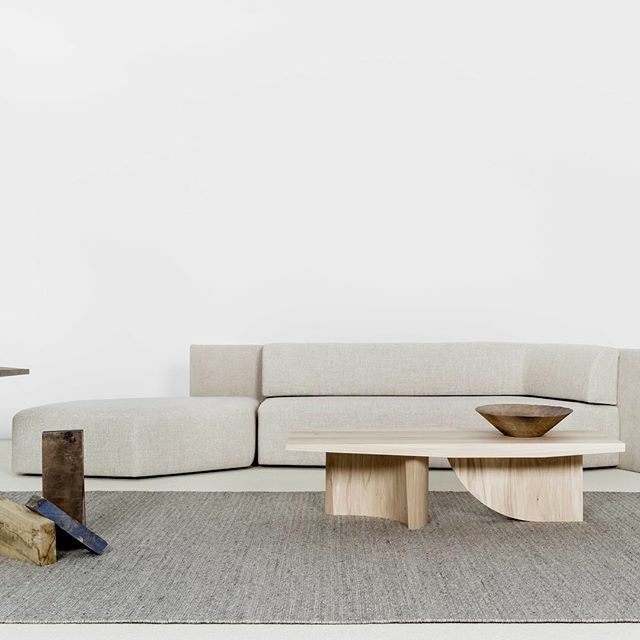 0 Response to "Echos By Christophe Delcourt At Spotti Milano"